Ats Rhapsody is the new residential project of ats group, located at noida extension (greater noida Sector – 1). Ats rhapsody accommodates 1800 Sq. Ft. (3+Study) and 2400 Sq.Ft. (4+Servent) luxurious residential flats. This project of ats is having 7 multi storey towers. In case of 2400 square feet flats there are only 2 flats on each floor. It makes all the units are having 360 degree view and are the best one can imagine in a residential property. In case of 1800 square feet flats there are 4 flats on each floor, making all the flats three side open and corner. Ats rhapsody is going to be the most luxurious, best quality and most spacious project of noida extension. Location – GH12/1,Sec 1, Greater Noida. Site Area – Approx 6Acres. 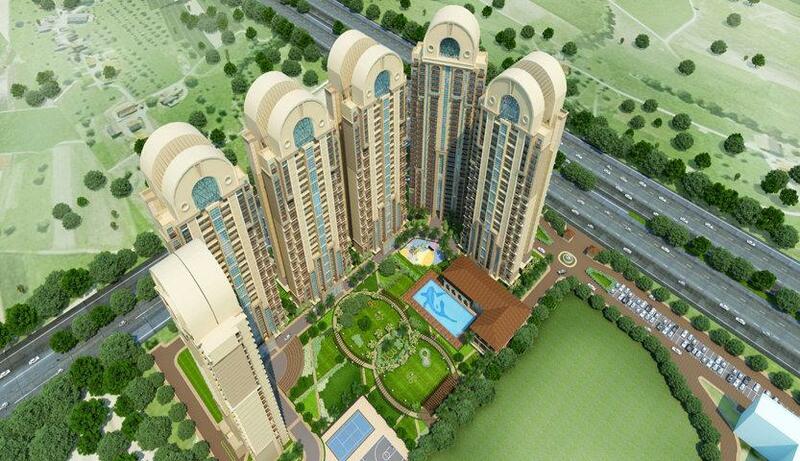 Sizes – 1800 sqft (3bhk+study in Towers 1, 2 & 5) & 2400 sqft (4bhk+Servant in Towers 3, 4, 6 & 7). Units/Floor – 4 units/floor (3bhk) and 2 units/floor (4bhk). Lifts Ratio: 3 Lifts for 3bhk (1800 sqft) and 2 lifts for 4bhk (2400 sqft) *with separate lift from basement to ground floor. Commercial – Space for commercial of approx. 10,000 sqft earmarked. Club – Approx. 15000 sqft of Club house with swimming pool, gymnasium, tennis court etc. Located along 60 m wide sector road. Easy access via FNG, Sec-79, Noida& Gaur Chowk. Proposed Metro Station at first roundabout of Greater Noida (W) within 1 km Radius from the Site. Sec 1 adjoining Tech Zone IV, G. Noida. 20 mins drive from Sector – 18, Atta Market.